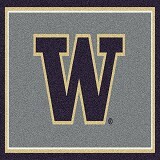 Find your team and get the best deal on licensed college team rugs from Milliken. High quality and custom ordered 100% nylon rugs featuring team logos, designs showing team spirit and more! Make Myteamsportsrugs.com your choice for these made in the USA college team rugs!